Is Cryptocurrency Killing Blockchain Technology? India. One of the upcoming super powers in the world! With the new government in place, it is supposed to be the time of great change and the advent of “Golden Days” for its citizens. Hence, it was a cause of great joy when state governments launched plans of implementing Blockchain Technology for many of its future projects. It was after all the first step towards decentralization. Then came the news that the biggest corporate house in India, Reliance Corp was launching its heir apparent with the Jio Coin. it was a feather in the cap of the young generation who believed that this new government was not just eyeing decentralization but also wished to support or maybe just legalize cryptocurrency. It was the peak of happiness for all crypto enthusiasts as the deep ties between the ruling party and Reliance Corp was no secret. Then came the faithful day when everything turned on its head and any hope and chance of a decentralized future was dashed in one event. In the Union budget of India, the Finance Minister of India declared cryptocurrency as “Not Legal Tender” and added another nail in the decentralization coffin. 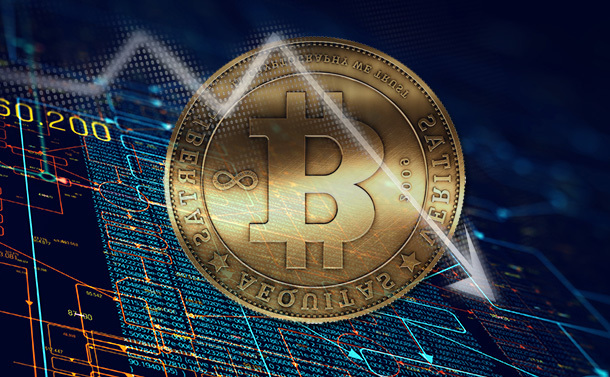 He declared that the government has plans on a complete shutdown on all cryptocurrency trading in order to curb illicit activities. The eventual FUD (Fear, Unrest and Doubt) that followed the union budget was enough to discourage many crypto investors. Unfortunately, these weren’t merely words. The Reserve Bank of India and the Indian government has taken several steps in the past few months to close all venues and ventures for crypto trading. Cryptocurrency: The Prodigal Son Of The Decentralized Family? So where does this leave those Government projects that had started the ball rolling in India? Will they too be held accountable for the supposed illicit activities that are being undertaken by citizens via cryptocurrencies? Will the Government put down regulations on Blockchain Technology implementation too? Most importantly, what is the future of the Tokens that shall be generated on those Blockchains and specifically Jio Coin? It basically means that they have shut all hopes of allowing fiat currency from entering the cryptocurrency maze. The many factors that have resulted in marking cryptocurrency and its mining/trading as illegal or banned is because of ransomware hackers, malware, terrorists, corrupt officials and other anti-social elements of the society that have begun using cryptos as a means of their trade. This has resulted in people associating all cryptocurrencies in the same spectrum. Until and unless the anonymity of the identities of those dealing in cryptocurrencies is not removed, such matters shall continue to dominate the news and so its name shall forever be synonymous with all things illegal. Blockchain Technology: The Righteous Son? On the flip side resides Blockchain. Willing to adjust with every ecosystem, this platform is a boon to a majority number of sectors. Be it Banking, Travel, Housing or even giving refugees Digital Identities. But, the association of cryptocurrency and Blockchain technology should not result it being clubbed in the same category. It has the potential of creating new ventures where it can disrupt corrupt governance and offer its multiple uses to all. By banning all cryptocurrencies, the governments have ordered a death sentence to the blockchain implementing companies too as they need and use tokens to operate. They shall now face a tough time trying to do so. In fact, for many Blockchain startups, it’s now near impossible to get any financing from centralized banks or from legal sources. This has resulted in a massive amount of ‘Brain Drain’. These same startups are moving to offshore locations such as Singapore or Japan who are more crypto friendly and are welcoming them with open arms. India’s loss has become the gain for its economic rivals. While governments may be intent on killing Blockchain technology right in its infancy, it stands to reason that they basically fear it. With this technology going mainstream, there is a good chance that it shall disrupt their fiat currency, bring about a transparency in its red tape and also take over the various ministries and sectors that they govern. It is after all the key factor that shall bring about complete and utter democracy in countries to come. Footnote: A word of advice to all crypto investors from India or any country that is facing a similar situation. The Indian government has not yet ‘banned’ cryptocurrency trading. They have just made it very difficult. An offshore account to transfer your fiats shall go a long way in dealing with crypto exchanges.